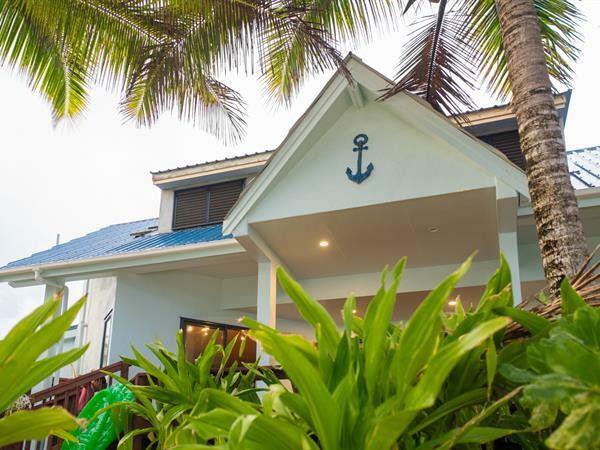 Anchors Sands, consists of two stylish 4 Bedroom Villas. The property devours stunning beaches and is positioned on a capacious white sandy beach on the brink of the turquoise lagoon. A remarkable snorkelling spot, great swimming and boundless opportunities to explore at leisure. Onsite the property has available snorkelling gears and 2x kayaks for complimentary use, a BBQ table on the deck overlooking the stunning view of the lagoon and a spacious outdoor shower that runs hot and cold water. Each villa offers a fully self-contained stainless steel kitchen, 4 private bedrooms and Wi-Fi access right around. The living area comprises comfortable couches, and a flat screen TV as well as a surround system. A minimum of 5 nights is required and each villa can take up to 8 pax. 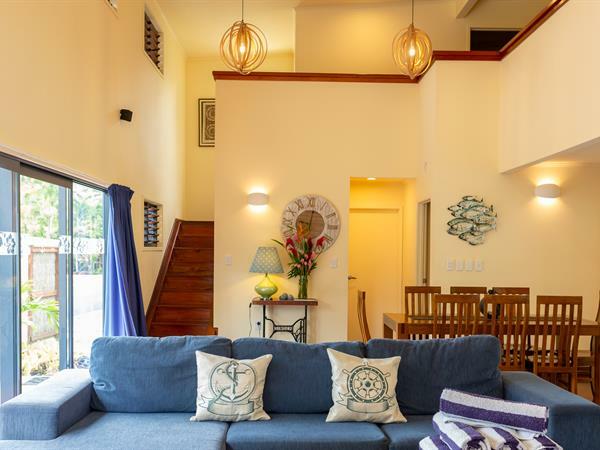 Suitable for large families or a group of friends on vacation seeking that island get-a-away.